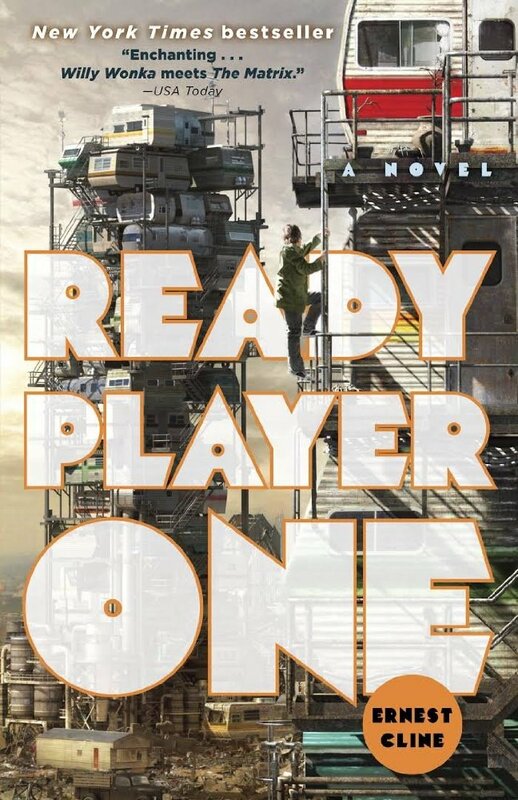 So I decided to write an article on “Ready Player One” why you ask? This is because I know just how important this book is to The DreamCage, as I am aware of the ongoing #ProjectRPO reviews, and I wanted to give a different perspective on the book as I thought it would be useful to give the opinion of someone who didn’t grow up with the old 80s/90s pop culture, such as text adventure games like Zork, which are referenced in the book. I also felt like it would be wrong for me to not give the book the credit it deserves before the film comes out next year. So here is a brief overview of the plot for anyone who is unfamiliar with it. The story follows a young adult with a desire to escape the dystopian world he is forced to grow up in before the virtual simulation known as the OASIS was created, by which time he has lost many of his family members and is compelled to leave the world to escape the suffering. However, like many other stories, there is a bad guy of sorts, this being the leader of a corporation with the intent of controlling the OASIS and charging those who use it in order to further gain profit. The founder of the OASIS known as James Halliday is introduced to us, offering a competition to all of the users of the OASIS - the chance to earn a fortune, which is solely the plot of this book whilst giving us the perspective of the young adult known as Wade who, when we hear his dark backstory to begin with, we are instantly rooting for by feeling empathy for him. I think that the intriguing adventure quest and the way that it always leaves the reader on edge, is what compensates for the lack of action in this book, such as the Prison Break vibe I felt in the chapter where he escapes a prison after purposely getting himself caught. But my favourite aspect of all were the Star Wars references (except from the fact that Wade mentions his distaste for it, which still annoys me! ), especially the moment when they quote Lando from Return of the Jedi when he says “Han will have that shield down” which really made me smile. So if you have an interest in other aspects of a story apart from the action then I would definitely recommend this book. Of course there is action in the book towards the end but I actually quite enjoy the fact that they don’t continuously talk about the ongoing battle, as this gives us as a reader a sense of omission and are drawn further into the story through a desire to know more. I think what is most clever is the fact that the author seems to make reading about a child playing a video game for a quest interesting which, if you think about it, is quite extraordinary. Of course the film explores issues such as Wade falling for a girl and letting that get in the way of his hunt for the egg that will grant him access to Halliday’s fortune. Personally, I believe that it’s the writer’s choice of age for Wade is instantly what allowed me to connect with the character and therefore, buy into him as he lives through the same feelings growing up as myself, as well as simply enjoying playing video games and watching TV. The most appealing aspect to me is his desire to fit in in school (before he started attending school in the OASIS), which I also felt during my time in school. So let’s look at another character and how they come across to the reader, the most extraordinary and enlightening being the character “Aech”. This is due to the fact that when we are first introduced to ‘him’ we simply thought of him as a friendly guy that hangs around with Wade occasionally throughout he OASIS and we later find out (SPOILER) that this character is in fact a young dark coloured gay woman. This instantly surprised me and made me first think that the writer was trying to bring across the message that it is simply the personality that mattered and, when we hear the backstory of the character, we also hear about the fact that her character in the OASIS used an avatar that was a white male to allow herself to not be judged by others. This almost seems like a moral for the story, to not be racist or sexist or even homophobic as it makes the victim feel ashamed of who they are. This makes me appreciate the writer further as it almost seems like the author is trying to communicate with his audience without directly acknowledging them. 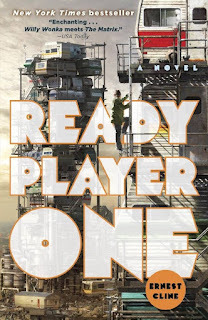 The book is, in my opinion, also very clever as it gives us a clear idea of a dystopian future in which technology (as well as overpopulation) has taken its toll on the human race. It also has a way of bringing the story to life in such a way that it seems like the book itself is the reader’s gateway to another world. Of course it doesn't seem exactly like an oasis to start with as it is a time in which people are starving and suffering. And when the main protagonist of the novel is in the OASIS, it almost seems like Inception as the reader is caught in a world in which a person is caught in another world that is more appealing to him. This is why I love the book so much and I only hope that the film is as unexpected and intriguing as the book even though, as we all know, that is not very often the case.